Wow… I didn’t realize I haven’t been on the elliptical for 5 days. No wonder I have been feeling like crap. I feel sooooooo much better when I work out; physically, mentally, and emotionally. Hehehehe…. I did it… got the 6 kilometers in. Feels good. I would seriously like to get my rear down under 50 inches. Size 6/8 here I come. One day one workout at a time. I finally got to see all of this week’s Biggest loser. They were working out really hard, counting calories and the whole bit…. And their weight loss is tapering off. They kept saying they couldn’t understand it. Even the trainers said they couldn’t understand it. Geez people… can’t understand it. You’ve already lost massive amounts of fat very rapidly. You are working out like a hard labor camp and you can’t understand not losing so much weight this week… it’s called muscle folks. You are still losing fat but you are gaining muscle. This is actually a good thing. 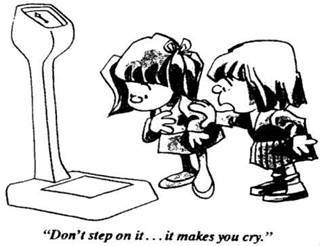 I will still take a look at the scale. However my fitness goals are going to be tied to my measurements instead of the scale. Frankly I don’t care what I weigh if I’m in that size 6/8 trim, toned, and buff. I would estimate that by that time I will be in the neighborhood of 150 pounds lighter; but I really don’t know for sure. Size wise I could be much larger than a 6/8 and have lost 150 lbs. Actually that’s not totally true. Gotta give the body a good quality fuel as well. So it’s nutrition and conditioning. Lets not forget what put the extra fat on in the first place. Yeah I know eating way too much. But why-eating way too much. Sorting out the emotional, mental, spiritual reasons that the weight was packed on. Ignore those issues and it’s yo-yo weight once again. It’s a total package. Living healthy mind body and spirit. Truth be told being over-fat is a symptom of other things going on in our lives. I’m not talking about a pound or two here and there. I am talking about self destructive patterns leading to obesity. It’s a must. Dealing with the issues hiding in the fat. As the fat comes off the issues come up. Exposed like land mines in a wind swept field. Ready to explode and wreak havoc unless they are defused. Yes I have some experience with this. Yes sometimes it’s messy. Yes it’s worth it. As for me personally a nasty one blew up in my face about a month ago. I totally lost control, spun into self destructive binging behavior. 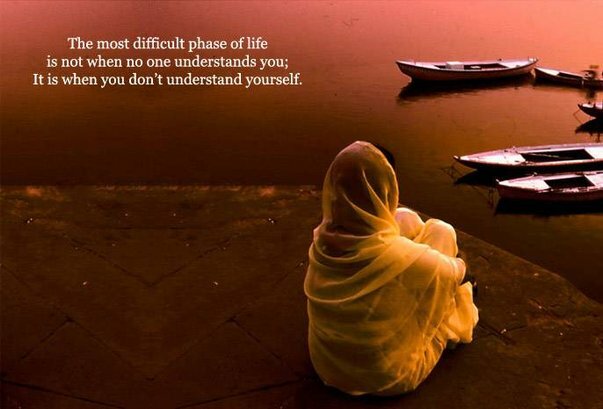 I have been working my way through it; dealing with issues that have been plaguing my existence for many-many years. Not a pleasant process digging through that bit of mess to be sure. I can say on the positive side that I am no longer binging uncontrollably. Maybe by going through this process I can help someone else along their way. Life is a journey, sometimes there are land-mines in the road. Each of us is Responsible for Our Own Actions; or Lack Thereof. Wading through a mountain of #*&%$ and RECLAIMING my life. That's it. That's all I have to say right now. Life is a Journey, sometimes there's $#%^* in the way. Jim Rohn is one of my favorite authors. When this came into my email today I had to share it. I have been working my way through a myriad of emotions this past month. Sorting through issues long buried as they rose to the surface. Excellent article...I hope it is a blessing to you as it was to me. Here is a link to their website... you can sign up for a free weekly Newsletter if you so choose. The following came into my email today. I did pop over to snopes to check it out. Decided it was well worth posting. Be aware of what you are using in your yards and gardens. From mulches, to fertilizers, herbicides, and insecticides. Please tell every dog or cat owner you know. Even if you don't have a pet, please pass this to those who do. 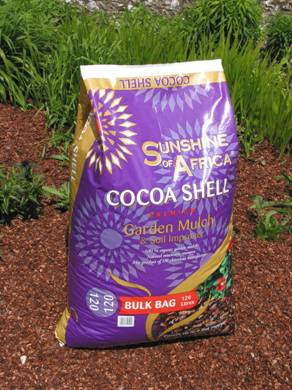 Cocoa Mulch, which is sold by Target, Home Depot, Foreman's Garden Supply and other garden supply stores contains a lethal ingredient called 'Theobromine'. It is lethal to dogs and cats. It smells like chocolate and it really attracts dogs. They will ingest this stuff and die. Several deaths already occurred in the last 2-3 weeks. Over the weekend, the doting owner of two young lab mixes purchased Cocoa Mulch from Target to use in their garden. The dogs loved the way it smelled and it was advertised to keep cats away from their garden. Their dog (Calypso) decided the mulch smelled good enough to eat and devoured a large helping. She vomited a few times which was typical when she eats something new but wasn't acting lethargic in any way. The next day, Mom woke up and took Calypso out for her morning walk . Half way through the walk, she had a seizure and died instantly. this product is HIGHLY toxic to dogs and cats. Cocoa Mulch is manufactured by Hershey's, and they claim that "It is true that studies have shown that 50% of the dogs that eat Cocoa Mulch can suffer physical harm to a variety of degrees (depending on each individual dog). However, 98% of all dogs won't eat it." Be aware of what you are using in your yards and gardens. Did 6 kilometers on my elliptical. Program #4, which is a hill program, Level 3 difficulty. I am adding a kilometer a week, or rather 7 workouts then add 1 kilometer and start the count over again, over and over. How far am I going to take it? I actually have not decided yet. Perhaps the distance it takes me to do 60 minutes or 45 minutes at a time. I would like to work it up to be able to complete a marathon distance. Obviously that will take some time…lol. It amazes me how different it is working out on the elliptical, with the arm levers; than walking the roads/hills here with my trekking poles. The elliptical makes me think of walking in water; except my feet generally do not go to sleep in the water. Yes they go to sleep on the elliptical, same thing on the tread-mill or walking long distances. I’m not sure they actually go to sleep, but they tingle like they are. That’s one of the reasons I use the trekking poles when I walk distances. Between the extra weight, some back injuries, and the nerve damage from west Nile virus it makes it very easy to stumble after I’ve been walking for a while. Go to take a step and the foot doesn’t go quite where you thought it was going to go…lol. So, adapt, use trekking poles and keep from landing on your face…lol. It’s better than it was. I believe it will continue to improve as I continue to build the muscle girdle around my core. Guess I could have said strengthen core muscles. By core I not only mean abdominal muscles, but back muscles as well. This core strength is imperative to keep me off the surgeon’s table. There has been some lower spine damage. The doc told me several years ago I was going to have to have surgery to fuse some vertebrae. I will not have that surgery unless I absolutely have too. So far so good, building up the core muscles, one day at a time, is working. If I expect this body to continue to function removing the extra fat I’ve self-destructively packed on my frame is a necessity as well. The mechanics of my body works pretty well as far as fat loss goes. However; dealing with the mental/emotional/spiritual issues that triggers the behavior that packs on the pounds has been quite the adventure. As much as we might like it to be; obesity is not just diet and exercise. Or perhaps I should say nutrition and movement. The total person is involved. This is one of the reasons journaling is so useful. The journal is a safe place to explore, or simply express thoughts and emotions. Put your journal In a safe place. If you want to share it that’s fine; but if you are not ready to, put it somewhere where no one else can access it; until you are ready to share it. Some posts may be for your eyes only. One of my challenges is learning how to live in the present. Rather than rehashing the past over and over. Doing the shoulda/woulda/coulda bit or waiting to live until I do this or that. Projecting my life into the future. Doing either or both can and will steal your life if you allow it. In moving on, allowing myself to live in the present rather than rehashing the past I have been able to let go of some very hurtful events. I had been struggling with the concept of forgiveness. Forgiving myself for not being “perfect”, and forgiving others for their hurtful words and actions. Forgiving does not mean that what they said or did was “ok” by any means. What it does do is release you from their grasp. Their word or actions, no longer have the ability to hurt you emotionally. Forgiving your self means; ok I acknowledge my past, I deal with the consequences of my decisions/actions/words, it is what it is. Acknowledge and learn from the mistakes you have made, and then move on. This equals growth. Live now. I read a great article in O magazine this morning. “The Beauty of Today” by Eckhart Tolle. I found it in the May 2010 issue of O. Most of us would agree that O’s tenth anniversary is cause for celebration. And yet some people feel ambivalent about anniversaries, birthdays, and the like. Some even feel a little guilty when they think about the past, tough the memories may be pleasant. “Am I avoiding the present moment?” they ask. They belong to a growing number of people who are “practicing presence”—endeavoring to let go of an excessive and unhealthy preoccupation with past and future, and embrace the place where life happens. There is a fine balance between honoring the past and losing yourself in it. For example, you can acknowledge and learn from mistakes you made, and then move on and refocus on the now. It is called forgiving your self. Or you can carry a burden of guild (self-identification with mistakes) for many years. You may occasionally fondly remember eve3nts, places, or people from the past and while doing so be accepting of the impermanence of all things. Or you may wallowing nostalgia and see the past as more precious than the preset. Be vigilant, so that you don’t allow a burden of negative past to accumulate in your mind. In the form of guilt, regret, resentment, grievances, anger, and so on. Forgiveness happens naturally as soon as you realize that the past cannot prevail against the power of Presence. The future, too, needs to be honored, without making it more important in your mind than the present. Of course, you can make plans, and you can hold an intention in your mind of something that you wish to manifest in your life, and then take appropriate action. But the power of creating a better future is contained in the present moment: You create a good future by creating a good present. How do you do that? By recognizing the goodness that is already inherent in the present moment, even in the midst of challenges. Discontent, blaming, complain, self-pity cannot serve as a foundation for a good future, no matter how much effort you make. Where to find that goodness when recession hits, when you lose your job, your home, when things seem to fall apart around you? In all things that we tend to overlook: feeling the gentle breeze on your skin, the sunlight filtering through the clouds, the sound of the rain, the waging tail of a dog, the shiny apple you are about to bite into. You notice the in-and-out flow of your breath, the feeling of aliveness inside your body. And then there is the beautiful stillness behind it all, which is deep within you. It is through gratitude for the present moment that the spiritual dimension of life opens up. So let’s celebrate our anniversaries as they arise. What we are really celebrating, though, is the present moment, the door way into Spirit, and all there ever is. I appreciated what Eckhart Tolle had to say in this article. I hope it was a blessing to you as well. Life is a journey, each moment to be appreciated.